I’m finding that to compare smartphones is like comparing different shades of grey! It used to be fairly simple and straightforward when there was the iPhone (that set the ball rolling for fully touchscreen smartphones), and a few others trickled in from Google, HTC, and Motorola. Now there’s so many different variations of what appears to be the same phone on different carriers. And even the names aren’t even always the same. Sometimes, the look of the phone itself is quite different too. Just look at all of the LG Optimus versions out there with very different finishes on them (from black to silver/metallic), and even the Samsung Galaxy line. it’s any less durable than more expensive ones, which are often more fragile or scratch more easily. Do you ever try to compare smartphones and just want to screan…ahh….! I suppose competition is a great thing for us consumers. And maybe having so few real differences between smartphones means that it’s nearly impossible to make a wrong choice? Just buy something that fits into our budget and don’t look back?! But some smartphones can be upgraded to newer versions of Android (for example), while others can’t. This can make a huge difference for even the most basic users. For example, I want turn-by-turn GPS navigation, and better memory management (to avoid slowdowns and freezes), and mobile hotspot functionality, which means I need something that will support Froyo (2.2). Ironically, with all of the choices now available, when you compare smartphones, you’ll notice that they all have fairly weak battery life. Maybe we’re getting ahead of ourselves? Oh yeah, and let’s not forget the various carrier nuances within the same or similar phones. For example, some carriers allow VoIP or video conferencing/chatting via 3G/4G, while others restrict it to WiFi, and this is changing everyday! All-in-all I’m very excited about all of the prepaid smartphones now available, and the ability to even flash postpaid smartphones to prepaid carriers, but I have to concede that figuring out what’s the best smartphone is most certainly NOT an easy task! I couldn't agree with you more! Comparing smartphones is extremely challenging. As you noted, the feature set between phones is so similar it's truly a mind wrenching experience to make a selection. 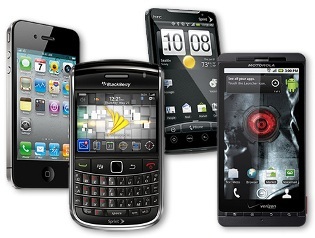 I offer some advice regarding how to choose the Best Smartphone, however, even then the selection has become so large that it's still not an easy endeavor! For me, it's a lot about screen size and input method. I like a larger screen for GPS navigation apps, and browsing the Internet. The real disadvantage of "true Internet" on a smartphone is that on these small screens you'll find yourself constantly scrolling left and right, and up and down to read a simple page. Personally, I preferred when my old smartphone formatted the page for simple up and down scrolling. This "true HTML" experience has some majorly annoying flaws in terms of navigation. So the larger the screen, the less irritating this becomes. Next, I personally don't like landscape keyboards. I find the keys to actually have too much space between them, and it slows down my typing. In addition, in order to slide under the top screen component, the keys tend to be relatively flat and have poor tactile feel compared to exposed keyboards. While I'm still working to make the transition to a fully virtual keyboard (hopefully with Swype technology), in the past I've preferred candy bar style keyboards (like the old Treos, newer HP Palm Pixi, or BlackBerries). The screen and keyboard are two elements of a smartphone that you'll be interacting with constantly on a daily basis, so above all, these two things are fairly important. Anyway, I think you're generally right regarding how to compare smartphones by selecting a smartphone that's within your budget (don't forget to compare the monthly price as well as the actually handset cost! ), and then narrowing it down from there. You may not find that you have many choices left, particularly if you've already narrowed it down to a preferred prepaid carrier (hopefully you won't go postpaid ;-). Good luck! Join in and write your own page! It's easy to do. How? Simply click here to return to Smartphone Review.